If you are a new mom, then welcome to this blissful phase of your life. Motherhood is inded a blessing. But with those adorbale giggles, uncountable firsts and memorable moments, comes the dirty diapers, sleep deprivation and mental exhaustion! It is just how it is. Being a New Mom Is not an easy job. It is overwhelming at the core, emotions and everything! But you are not alone. Here are some things that every mom ever goes through! 1. You will be able to get ready, shower, wash and dry in less than ten minutes. 2. You will finally understand why your friends who were new parents never had time for you. 3. Your baby’s weight gains will be a matter of pride for you, even when it is 100 gms. 4. You will hate when you see some other new mom juggling it all perfectly. 5. You will always put up a bold front even if you are freaking out inside. 6. You will easily forget about the hard day you have had when you see your baby sleeping peacefully at night. 7. You are either jumping out of the bed, jolted up because of your baby’s shrieks or tucked in deep into the covers, and will need to muster all the will power in your body to get up. 8. You will thank God for Coffee. 9. You will never touch an infant that isn't yours on the hands or face again. 10. You are always looking forward to a good nights’ sleep. Literally anywhere. 11. You will pretend you don't smell your child's dirty diaper as you hand her over to your husband. 12. You will feel incomplete when you go outside alone. 13. And even if you do, your mind is constantly wondering what your baby is doing right now. 14. You will wonder if you could possibly love another child as much as you love this one. 15. You will want to dress up your baby in the prettiest of dresses and click pictures to show off. 16. You will be proud about your kids’ tinniest milestones. The day she held the bottle without dropping, the day she rolled, the day she could stand up with support. All precious memories. 17. You will rejoice when your baby’s hair finally grows up to tie a fountain pony. 19. You will pack everything your baby could possibly need for a weekend and forget your own eyeglasses or toothbrush. 20. You will crack up when your kid starts shaking to music for the first time. 21. You will get your baby to imitate you, whether it is doing some yoga poses or moving to the beats of Singham. 22. You will not hesitate to chat with strangers who are expecting or have a small kid. 23. Your facebook wall is covered with photos of your baby’s selfies with you! Basically everything she or he does is a status update. 24. The bond your husband shares with the baby is so beautiful. When you catch him playing with her or him, you tear up. 25. You will feel so blessed to have a child when you hear or see other couples struggling to get pregnant. 26. You will pack all his tiny clothes that he has grown out of in a suitcase for the wonderful memories. 27. You will wonder how your other stay-at-home-mom friends do it, or your other working mom friends do it. 28. You will accept that your husband will never be as panicky about the baby as you are, that is just how its’ going to be. 29. 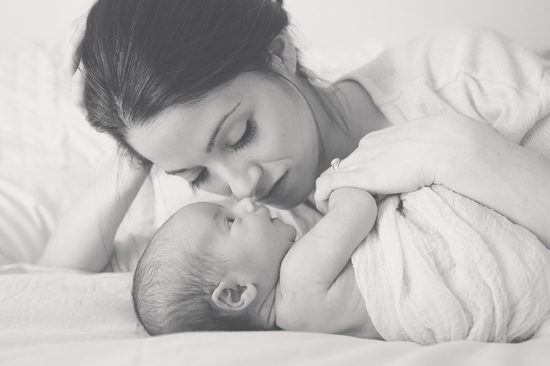 You will hear yourself tell brand-new moms that the first 12 weeks really do fly by, even though you know that is not true! 30. You will be relieved when your child turns 1. And pat yourself for the incredible job. 31. You will marvel at the volumes of unconditional love you have for your most wonderful achievement -- your baby.